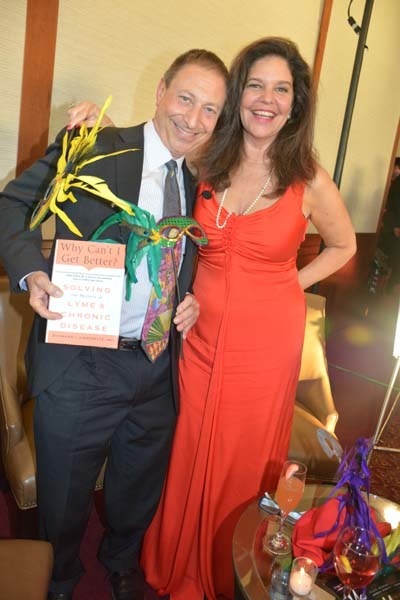 It is with true joy I welcome the talented, gracious, pioneering and devoted Dr Richard Horowitz, one of the brilliant Lyme disease specialists of our time, back on air with me this week on “Lyme Light Radio”. Please tune in wednesday June 17, 1pm pt/ 4pm et at LymeLightRadio.com, WBLQ.net or TransformationTalkRadio.com for an hour of insights into the confusing maelstrom of conditions that tick-borne co-infections induce in a Lyme disease case, or even in certain autoimmune conditions,like rheumatoid arthritis, MS or Lupus. Dr Horowitz has keen knowledge on so many facets of how the human body reacts to these micro-organisms as well as what efforts must be sustained to bring about personal healing and societal healing. 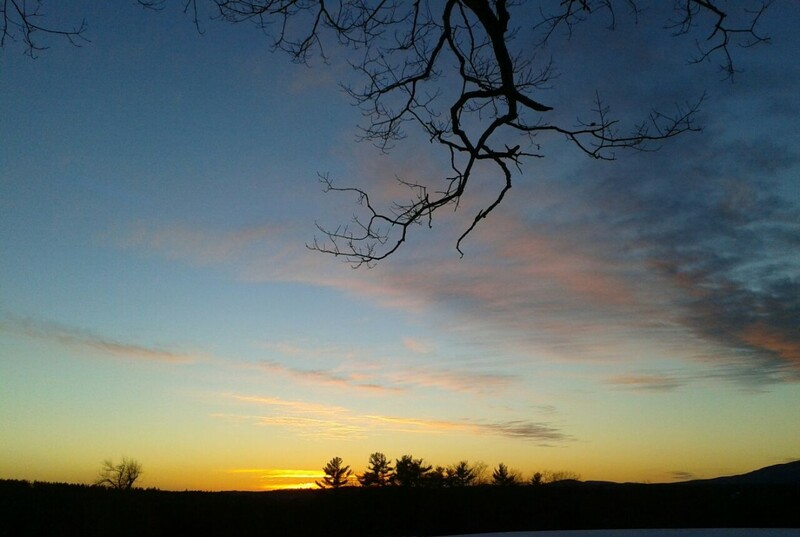 We also will learn about the “Living Well With Lyme Disease” workshop weekend held at Omega Institute, Rhinebeck, NY on June 26-28 that Dr Horowitz, myself and Dr Tom Francescott will be co-teaching. Our objective is to bring attendees the resources they need to maintain a healthier quality of life when infected by Lyme disease, now the nation’s fastest spreading insect borne infectious illness. Medical, naturopathic and spiritual components will be featured on this weekend. See http://www.eOmega.com for more details, some scholarships are available. 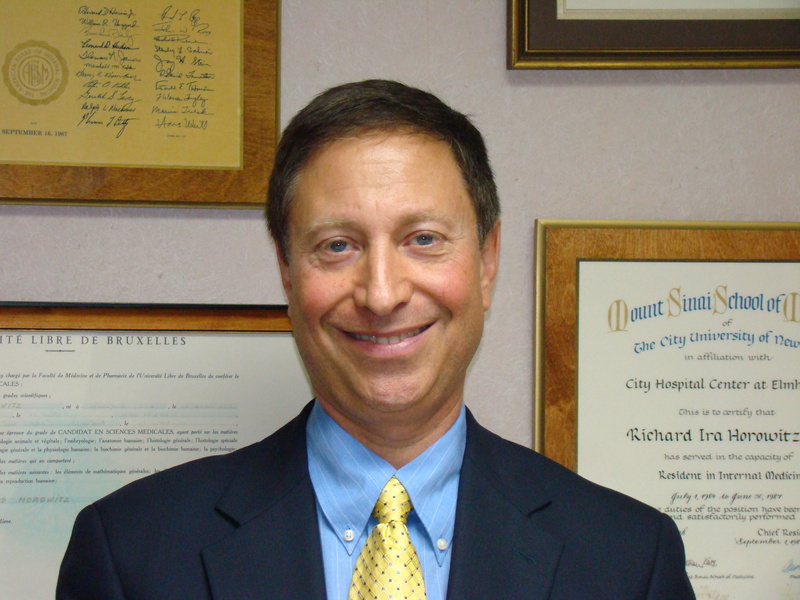 Dr Richard Horowitz is a board certified internist in private practice in Hyde Park, N.Y. He is medical director of the Hudson Valley Healing Arts Center, an integrative medical center which combines both classical and complementary approaches in the treatment of Lyme Disease and other tick-borne disorders. He has treated over 12,000 Chronic Lyme disease patients in the last 28 years, with patients coming from all over the US, Canada, Europe, Australia and New Zealand to his clinic. He is former Assistant Director of Medicine of Vassar Brothers Hospital in Poughkeepsie, N.Y., and is one of the founding members and past president elect of ILADS, the International Lyme and Associated Diseases Society. He is also past president of the ILADEF, the International Lyme and Associated Diseases Educational Foundation, a non-profit organization dedicated to the education of health care professionals on tick-borne diseases. Dr Horowitz has presented at numerous local, national, and international scientific conferences on Lyme Disease, and has published on the role of co-infections and toxins in Lyme Borreliosis. He was awarded the Humanitarian of the Year award by the Turn the Corner Foundation for his treatment of Lyme Disease, and has dedicated his life to helping those stricken with this devastating illness. His NY Times Science Best Selling book “Why Can’t I Get Better? Solving the Mystery of Lyme and Chronic Disease” was published through St Martin’s press in November 2013, and explains his full classical and integrative approach to helping those stricken with tick borne diseases and resistant chronic illness.